A Colorado state senator built this Manitou sandstone building, now on the National Register of Historic Places. Hand-carved stairways, restored wood floors, and original stained glass windows give guests a mansion experience as well as the Librrary in the Cheshire Room while the Prague room offers 27-foot ceilings and a view of the capitol dome. This historic red brick Italianate estate boasts exquisite décor and furnishings, stained glass and leaded beveled glass windows, a music room, fireside parlor, safe room and library. 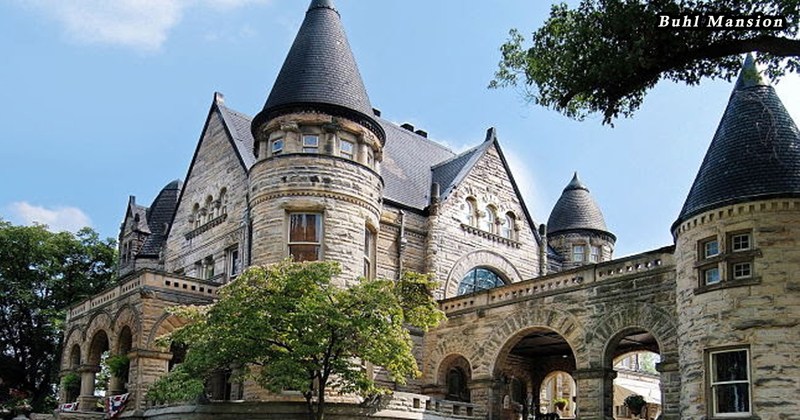 Here’s a real castle with stonework, gables and palatial turrets. Estate gardens include a courtyard, greenhouse and waterfall. Enjoy a better-than-Downton-Abbey experience in the Spa with massage, aromatherapy, tanning, mud wrap, and a salt rub. 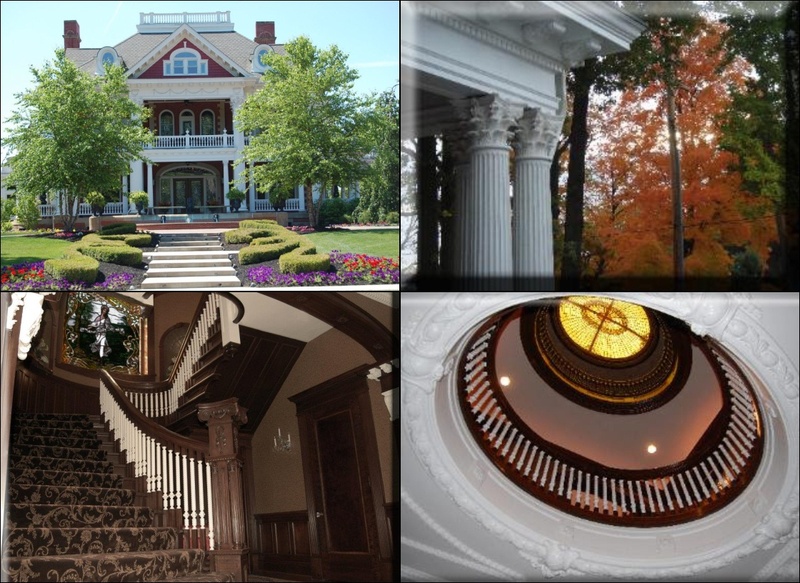 A Neoclassical limestone mansion was built to copy a friend’s Newport, R.I., estate offering palatial rooms once a gathering place for local society. Notre Dame, St. Mary’s and Indiana University in South Bend are nearby. 13,000-square-feet of French Normandy architecture once housed a Midwest monastery. 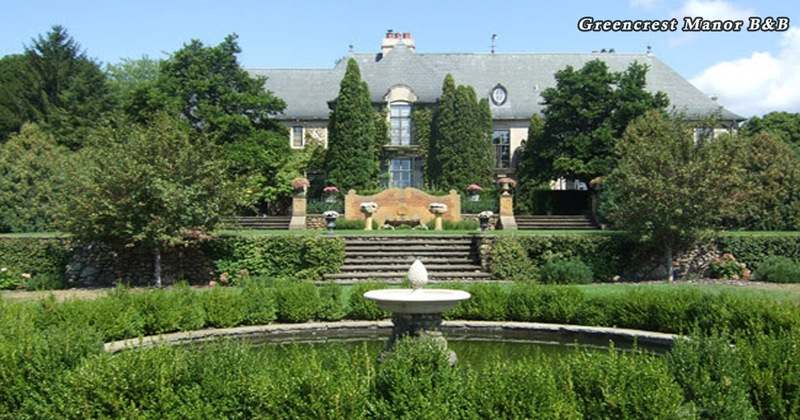 The property’s 20 acres of gardens are lush with apple orchards, tiered gardens, herb gardens, reflecting pools, Japanese maples and cherry trees. 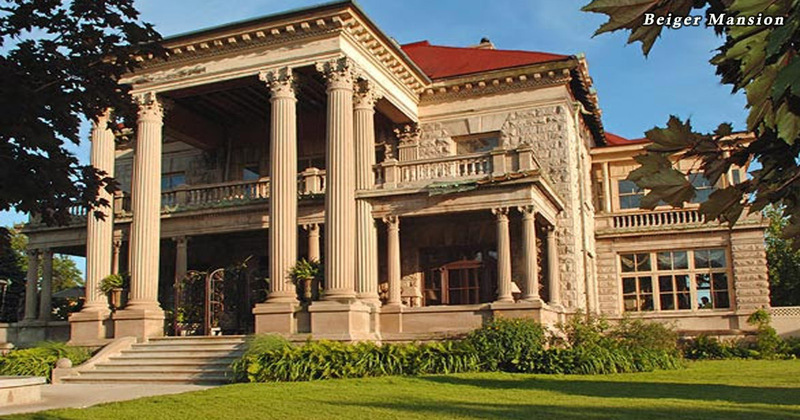 On the National Register, it’s a rare example of Norman-style in the United States. The inn’s inviting drawing room boasts egg-and-dart molding and distinctive floor-to-ceiling French windows. 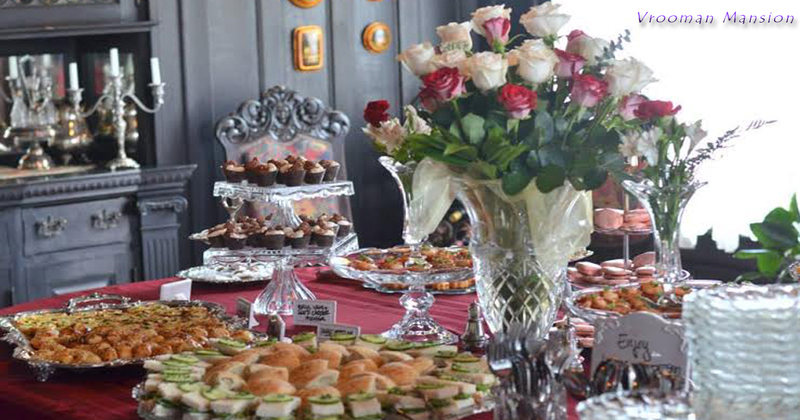 New owners have extensive plans for afternoon teas and manor dinners. Another pulent historic mansion, built with Italian glazed bricks, in my home state of Ohio is now a luxurious country inn on the National Register. There’s a sauna, steam room and indoor and outdoor therapy pools waiting for you. Rooms offer sophisticated amenities amid detailed craftsmanship, such as a multi-jetted shower, Jacuzzi or champagne bubbler tub. And let yourself enjoy the turndown service with a nighttime snack although if you are wanting to play Lady Mary, Anna Bates is not available to set out tomorrows gowns. Still, when you go “down” in the morning, you’ll be able to savor a gourmet breakfast. 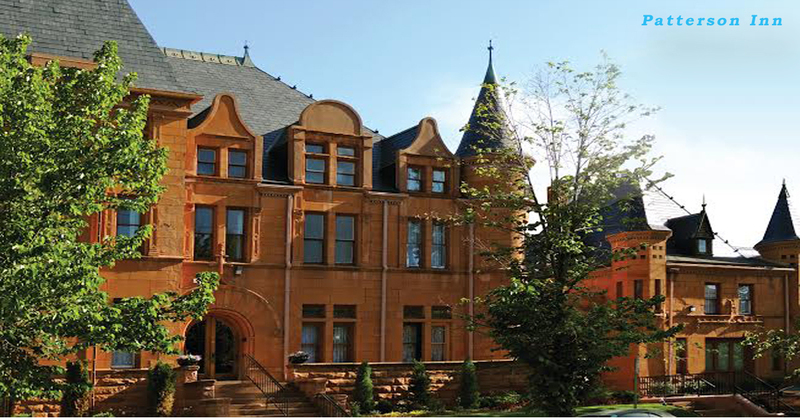 The brick used in this National Register mansion was quarried from Frank Nicolin’s quarry. Finished in rich woods, fancy fireplaces, and lighting, the inn’s four floors include a double parlor and a two-story tower. Relax on a swing or wicker rocker on one of the porches or stroll around the pond and fountain in the courtyard.